Farai has been listed as the number one top Forbes writers amongst top 10 writers for Forbes.com. She also writes for ESSENCE, a leading US publication that focuses on women of color. In 2017, Farai was named one of “100 Most Influential People of African Descent” (MIPAD) as proclaimed by United Nation’s General Assembly resolution 68/237, International Decade for People of African Descent. She is the recipient of the 2016 “Special Recognition Award” by Zimbabwe Achievers Awards; the 2015 “Media Excellence Award” by African Women Awards and 2014 “Emerging African Leader Award” by Temple University. 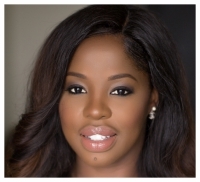 Ladybrille Magazine named Farai as one of “20 Influential African Women Entrepreneurs in America to watch in 2015”. Forbes named Farai as one of its 2013 “Top 30 Best Young Entrepreneurs” from Africa. For Forbes, Farai has compiled the popular lists; “10 Most Powerful Men In Africa” and “20 Youngest Power Women in Africa”. Prior to this, Farai was Senior Producer and Anchor at Afrotainment Television Channels [www.afrotainment.tv]. Farai launched her career in media at BlackTree TV where she was on-air talent and producing associate. She has worked at KPMG, a big four accounting firm with risk advisory and management consulting experiences at General Motors. After KPMG, Farai worked for Daimler Chrysler and then Chrysler LLC in their Corporate Finance group. Farai runs ivyard Inc., a US-based strategy and communications consultancy.